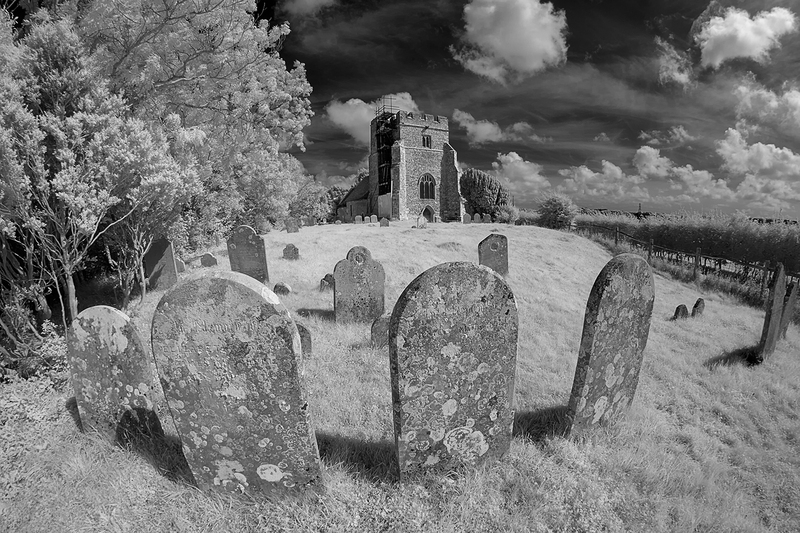 One of the loveliest churches in Sussex, England, is the ancient Church of St Peter in the hamlet of Hamsey. It stands on a hillock in a curve of the River Ouse, just north of Lewes. It is known that there was a building here in pre-Norman days because in 925 the Saxon King Athelston held a meeting of his counsellors on this site. It is listed as a church in the Doomsday survey of 1086. The nave and chancel are Norman, and a Norman influence is discernable in arches over the main door. The nave dates to the early 12th century, except for its west extremity. The chancel is contemporary, except for its east end. In the early 13th century a north transeptal chapel was added, of which the blocked arch remains. In the early 14th century many of the windows were inserted and about the same time the east wall was rebuilt. The west tower dates to the last years of the 14th century; it was built separately, then joined up to the earlier nave by 6 ft. of walling. Over time Hamsey emptied of people, perhaps because the low-lying houses were prone to flood. Eventually the church stood almost alone as villagers moved to higher ground at nearby Offham. In the mid-19th century a new church, also named after St Peter, was built at nearby Offham and the old church was all but abandoned. It escaped being demolished as the burial ground was still in use and, indeed, is to this day. The church escaped ‘Victorianisation’ which meant that it remained without water or power. The ‘Friends of Hamsey’ now look after the church and maintain it as it was in the early Victorian years. When this image was taken repair work to the roof and wind-vane had just been completed.